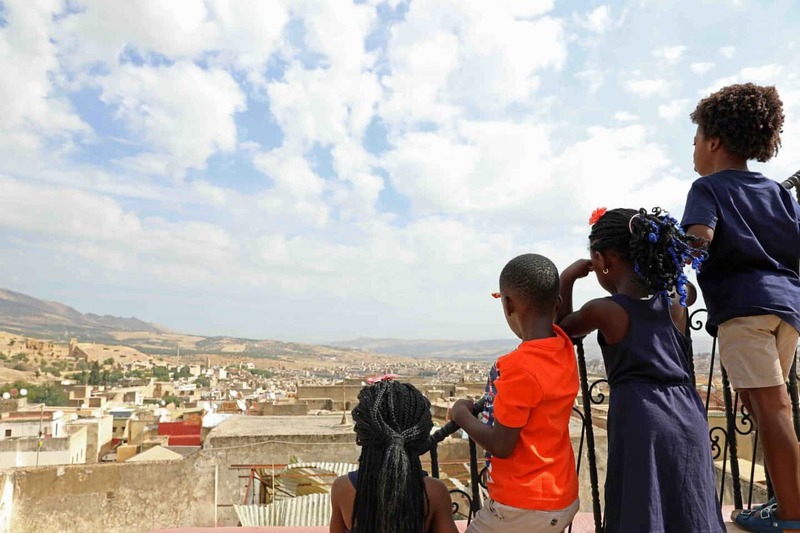 Home » Is It Safe To Visit Fez, Morocco With Kids? A lot of people who haven’t been to Morocco usually want to know “Is it safe to visit Fez, Morocco with kids?” Fez is among the most intriguing cities in the world as it is filled with pulsating metropolis which has changed a lot since it was founded. Although traveling to Morocco with kids may not be an easy task due to the long flight, heat and busy crowded markets and squares, it is a city that you must put on your list. Fes is filled with some iconic landmarks and history that your kids will surely enjoy and you will have a memorable visit there. 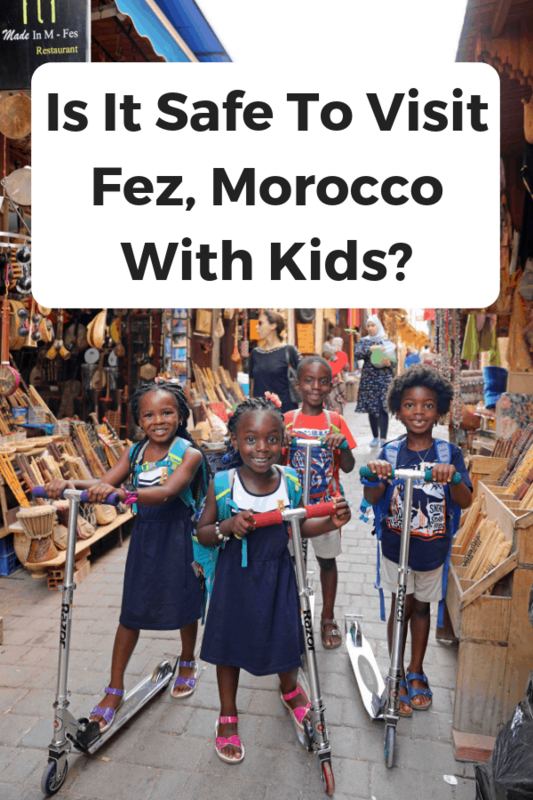 Is It Safe To Visit Fez Morocco With Kids? Location: Morocco is located in the northern part of the African continent. It is short 2.5hr flight from Italy, Spain and other surrounding European countries. Vaccines: There are no additional vaccine requirements for people (including children) interested in visiting Morocco. Currency: The currency in Morocco is the Dirham, and 1 United States Dollar equals 9.40 Dirhams as of December 2018. Language: The language spoken mostly in Fez is Darija (the Moroccan Arabic dialect) but many people also speak French. English isn’t common; however, it is getting popular among younger generations. 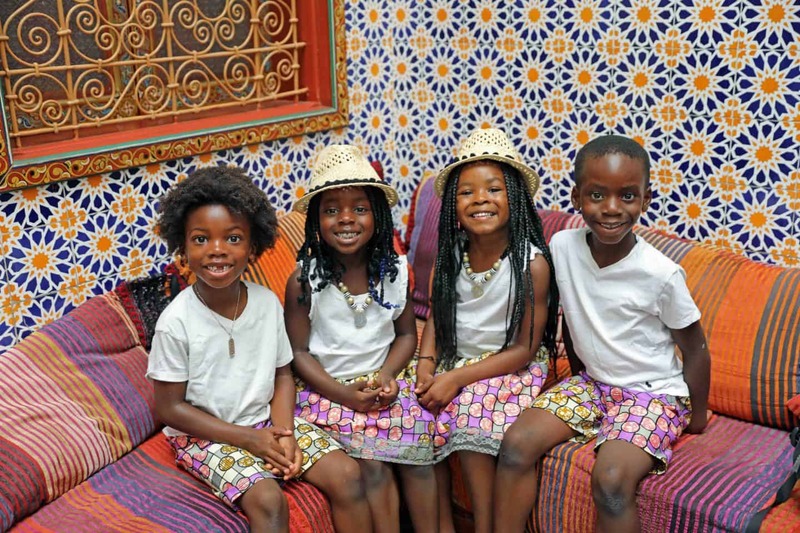 Visa: Americans do not require a visa to visit Fez, Morocco with kids. Check VisaHQ for visa requirements for other countries. 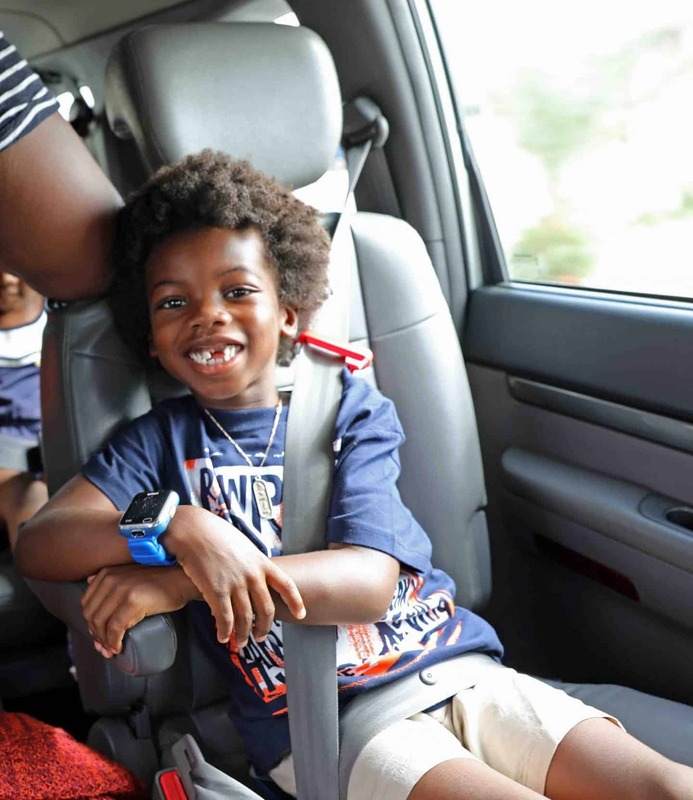 Car Seats: Car seats are not required, but because safety is important to me, we traveled to Fez with the kids Mifold Travel Booster Seat. Stroller: We took Scooters instead of a travel stroller. Some parts such as the Medina has cobblestone roads which can make it hard for a scooter and even a stroller. Safety: Morocco is a safe country to visit with kids. At no point during our trip did we feel unsafe! The best time to travel to Fez is from April to May and September to November. You are going to love the spring period as the coast become warmer but the peak season tends to be noisier from June to August. The summer is the perfect time to visit as the beaches are at their best. There are many activities that you can do all year round in this country that your kids will enjoy. We visited Fez Morocco with kids in October and the weather was absolutely perfect. There are several ways to get to Fez Morocco with kids, and that will depend on where you are traveling from. From the U.S. it’ll be a much longer flight with a layover in Europe. From Europe it’ll be a much shorter flight of course. We flew to Fez Morocco with kids from Pisa, Italy on Ryan Air. 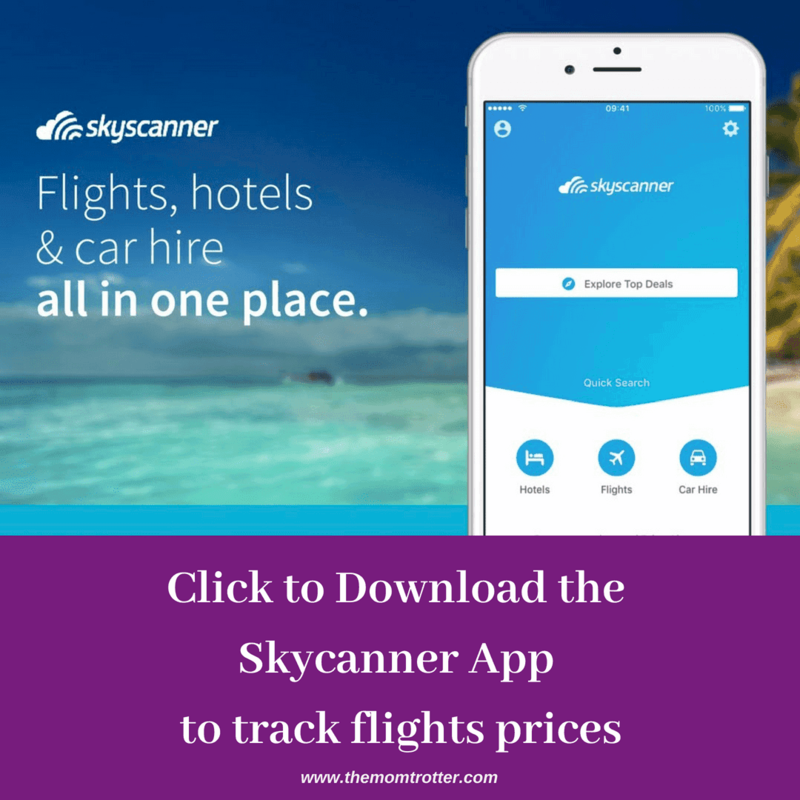 We purchased our tickets on Skyscanner (don’t forget to download the super handy FREE Skyscanner App also to find cheap tickets) and it costs $27.21 each. The flight took a total of 2hrs and 40mins, and before we knew it we were landing in Fez Morocco with kids. Taxi: There are two types of taxis in Fez, there is a red Petite Taxi that operates within the city limits and they are metered, not too expensive and can only carry three passengers. Another type of taxi is the Grand Taxi which are bigger and travel on fixed routes from Fez to other areas and they are mostly from the main bus station. Both types of taxis are often shared which means they will drivers may wait till the taxi is full before leaving. Rental Car: There are many cars hire companies in Fez, some of them are Avis, Hertz, and so on. 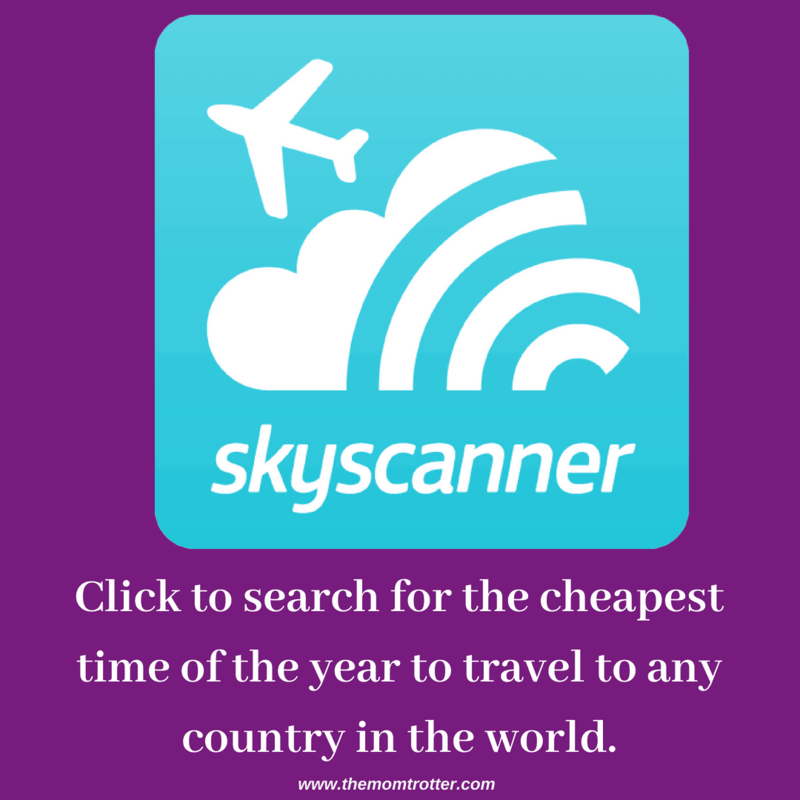 You can book a rental car on RentalCars.com, Car Rental 8 or Skyscanner Car Rentals. An international driver’s license isn’t required to drive in Morocco, however some rental companies may require one. Public Transportation: There are local buses to take you around the city regularly but they tend to be crowded. The bus helps to connect the Ville Nouvelle with different parts of the Old City. Route numbers are marked on the side of the buses. Hiring A Private Driver: This is a more expensive, however very convenient option. I hired a private driver because trying to hail a taxi and get around with 4 kids was going to be a hassle. I’m so glad I need because he was available to pick us up from the airport when our flight landed at almost midnight, and take us around as needed. If you need his contact, just reach out to me and I can provide it to you. He was a great driver and we enjoyed our time in his car. 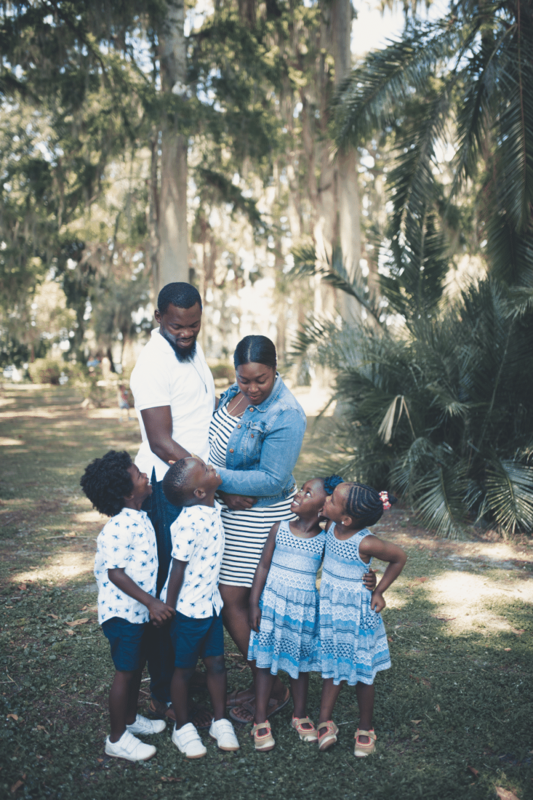 PS: Because traveling with the kids 5 point harnessed car seats was going to be hectic, we chose to travel with the kids Mifold Travel Booster Seat. This city is among one of the most authentic cities in Morocco with a Medina many centuries old, it has kept many of its traditions alive. There are many things that you can do in this city and it is a perfect place to visit whether you came alone or with your kids. There are many kid friendly hotels and riads in Fez and you will just have to decide whether you want to stay in the Medina or outside in a villa. A Riad is a traditional Moroccan house which has an inner courtyard or garden and even sometimes a pool in the middle. The word Riad originated from the word Ryad which means garden in Arabic. 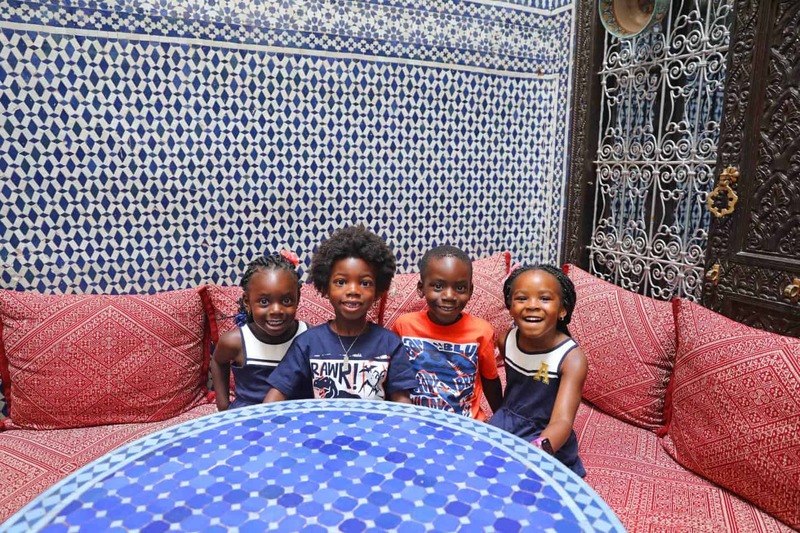 A Riad offers a more authentic Moroccan stay, and I highly suggest it when in Fez, Morocco with kids. Dar Medhi: This is the best place to stay if you want to experience Fez like a local as the hotel is lined with traditional carpets and wooden carvings for interior decoration. The hotel can be found in the north side of Fez Medina and it is close to tourist attractions like Madrasa Bou Inania, University of al-Qarawiyying and so on. You will also get magnificent views of the medina from the rooms. 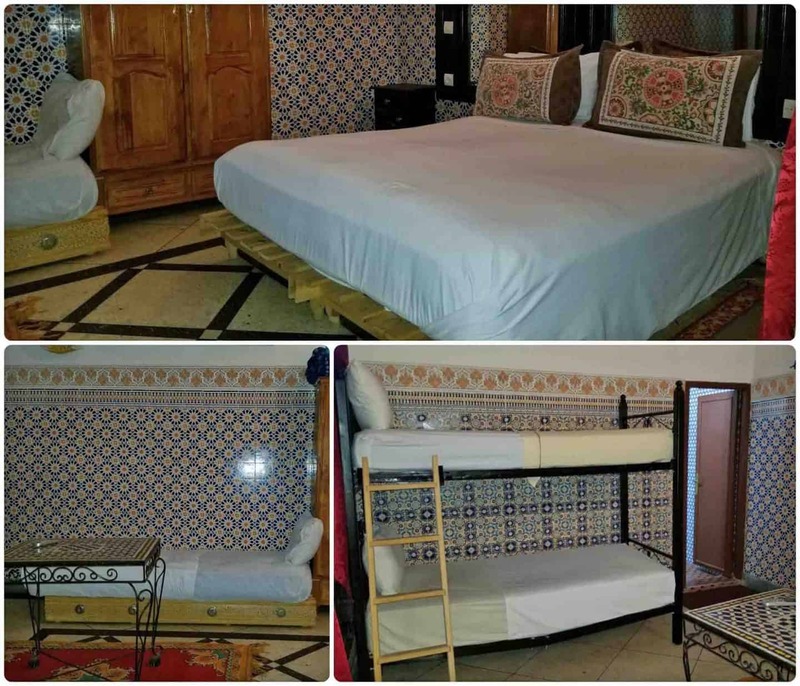 Riyad Al Atik: This riad is located in the alleyways of Fez medina which makes it quite hard to locate but you will definitely enjoy looking for it. 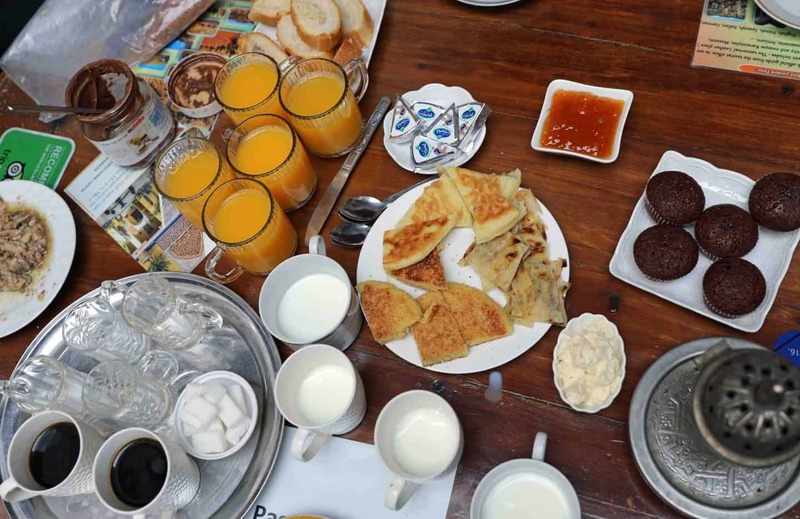 The hotel is located close to many attractions like Blue Gate and you will enjoy the mouthwatering breakfast. You will be mesmerized with the rooms which are decorated differently to give you a unique experience. Riad La Maison Verte: This riad features 9 traditional Moroccan guestrooms and provides many amazing services which range from helping to organizing day tours to tailoring meals to your taste. The riad is also close to many tourist attractions. Riad Dar Skalli: This riad is located in the Batha district which features a stunning rooftop terrace where you will get to see mesmerizing views of the medina and a powerful interior courtyard that has lounge chairs, plants and a gorgeous fountain. The hotel also provides complimentary baby cots for kids under 4 years old. The staff can also help you to arrange for a guided tour of the medina and also a day tour outside of the city. Riad Le Ksar de Fes: This riad is located on the outside of Fez and it is a convenient accommodation option for families. It is located on a 3-hectare estate which offers an unforgettable stay for you and your kids. The riad also has 2 douirias (small private house) which welcomes families either big or small. This riad has an onsite restaurant where you can try delicious local cuisine. Riad Zitouna: This is a peaceful oasis located in the heart of the Fez medina as it is situated in the serene area of Zkak Bghal. You will get to experience authentic Moroccan lifestyle with modern comforts in this riad. It also features a swimming pool for you and your kids which is perfect for summer months. 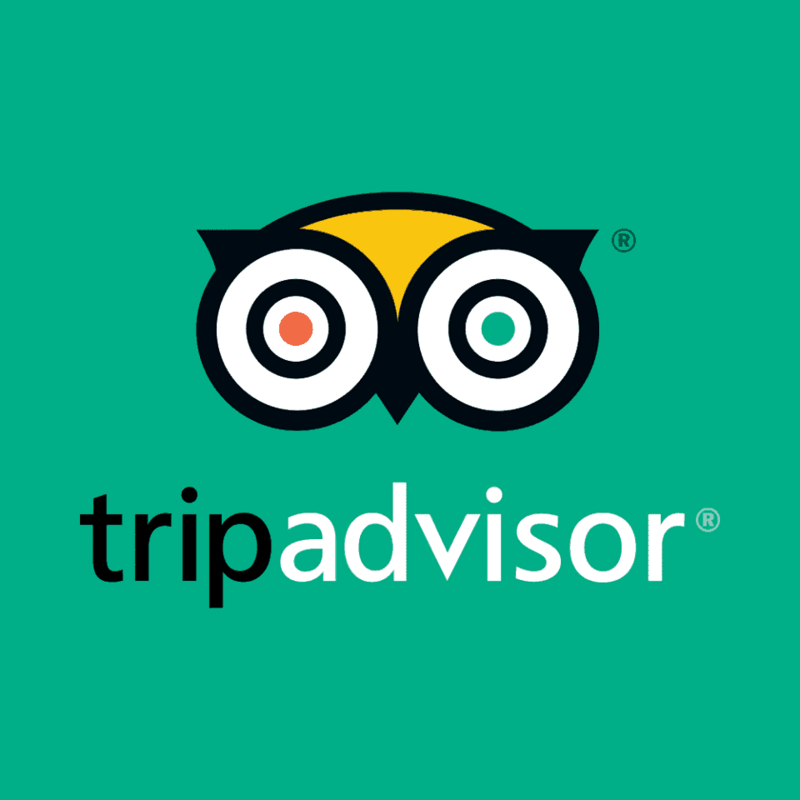 The riad also arranges for day tours of the city and surrounding areas, so make sure to ask at the front desk. 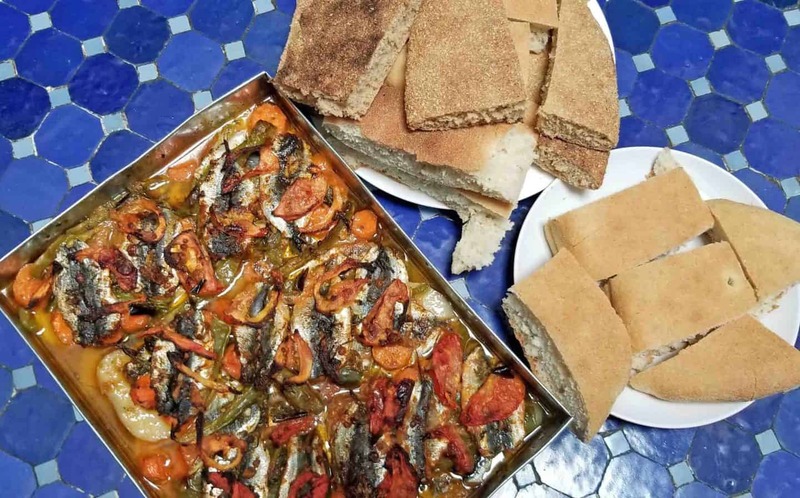 Riad Lalla Fatima: This riad can be found in Fez medina and they offer many fun activities which will keep the whole family entertained which ranges from Henna tattoo sessions to the cooking lessons. You can also go shopping from this hotel and also try out some local cuisines when in Fez, Morrocco with kids. Riad Hala: This riad is located in a quant alley in the Fez, Morocco Medina. It has elaborate interiors and a beautiful open space in the middle where breakfast is served. This riad has several different room sizes to fit each need, so make sure to note your family size when booking. 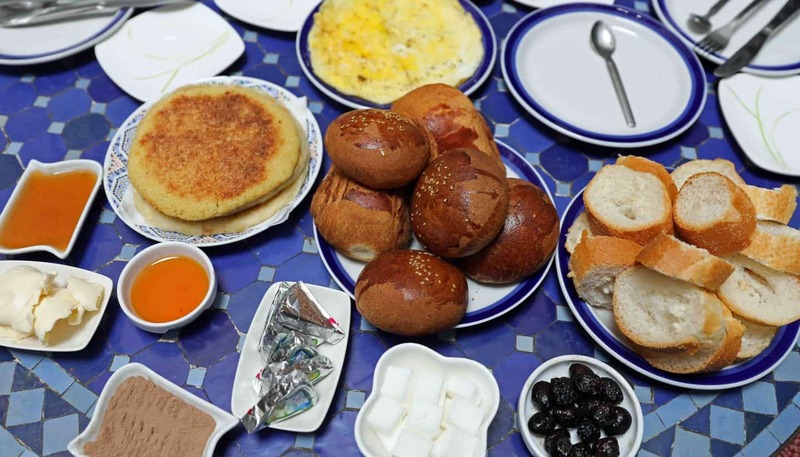 The breakfast here is also absolutely fresh and delicious. And the staff is Ah-Mazing!!! If you don’t want to deal with the hustle and bustle of riads and staying in the Fez, Medina with kids, then these hotels are good options for your family. Learn the history of Fez in Dar el-Makhzen: This palace gives you a great opportunity to learn about the history of Fez and you will be mesmerized by the large brass doors, lemon trees, ornate cedar wood, and zellij which stands out in the Palace. Go sightseeing at Henna Souk: This is a traditional market where ceramics and cosmetics were sold. The children will also be able to learn about currency and culture while also watching the locals work. Go sightseeing at Dar Batha Museum: This was once a palace but it now homes collection of historic artifacts like carpets, woodcarving and so on that you will see. There is also a gorgeous garden where you can go on a fun family walk. Play Golf at The Royal Golf Club of Fez: This is a fun choice if you are in the city with older kids and adults as they will really enjoy their time. View the Architectural Details of Medersa el-Attarine: This is a standout architectural attraction which you and your family will enjoy. Some of the things you will see here are decorative tile, a courtyard, onyx columns, and carved plaster. Explore Musee des Arms: You will get to learn about Morocco’s military history from here and also get to see artifacts and other items. Experience the Festival of Amazing Culture: This is another fun way to learn about the local traditions as you will get to see shows throughout the area. Go for a Cooking Class at Cafe Clock: This is the best choice for your kids to hone their cooking skills. The guest is going to do everything in this class from planning the meals to cooking the selected dishes. Hike Mount Zalagh: This is an extensive terrain filled with fun activities for you and your family. Take Instagram worthy pictures at Bab Boujloud: This is the best site for taking an Instagram worthy picture in Fez. You can also attend the fairs and concerts in this location. Climb The Stairs at Borj Nord: This is another perfect place for taking pictures of the whole family and you will also see stunning views of the city from here. Learn how leather is made at the tannery: PS. This place stinks, but is a great lesson for kids. They can see where leather comes from and understand the process of how it is made. Visit the famous Golden Gates at the Royal Palace: this place is famous for the Golden Gate, so make sure to take your camera for photos. It is a perfect example of Moroccan style and very beautiful to look at. Take Guided Tour of the Medina: You can book a guided tour of the Medina when you get to Fez at your Hotel or Riad. 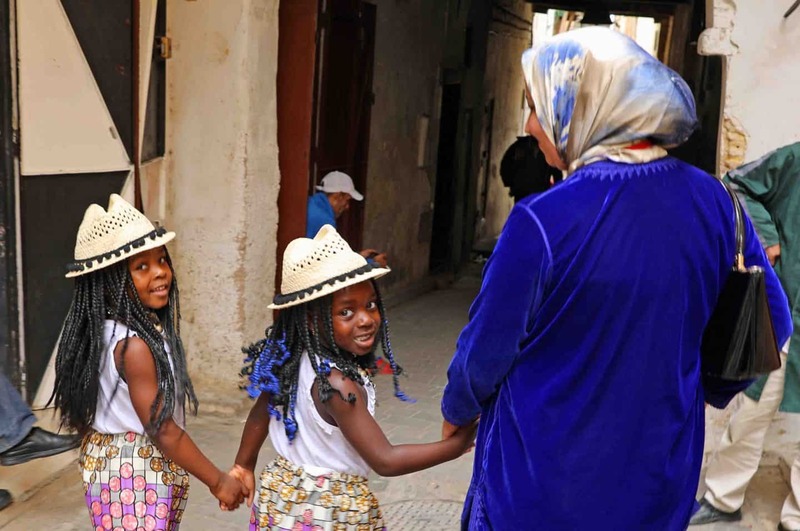 This is a great way to explore the Medina with kids without fear of getting lost. 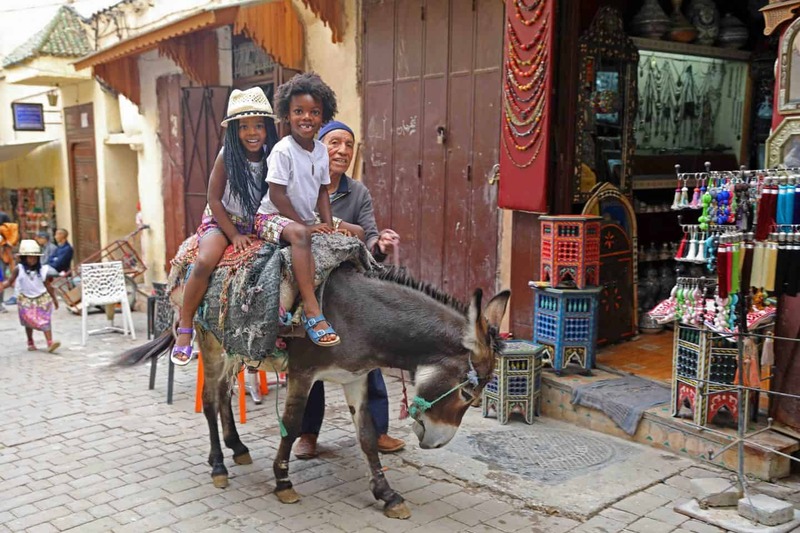 Ride a Donkey: Your kids will enjoy a donkey ride in the Fez Medina. 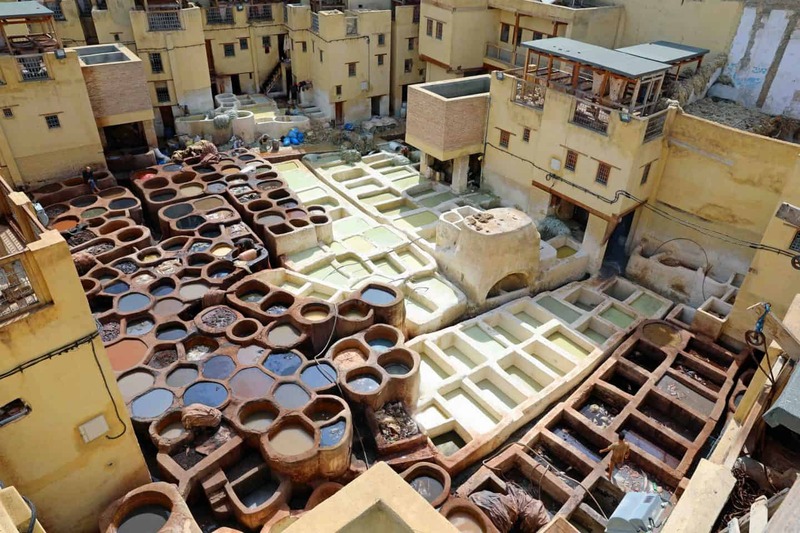 Visit a Pottery Factory: Potter is very common in Morocco, and visiting a pottery factory is a great lesson for your kids to see how pottery is made in the pottery capital of Morocco itself. 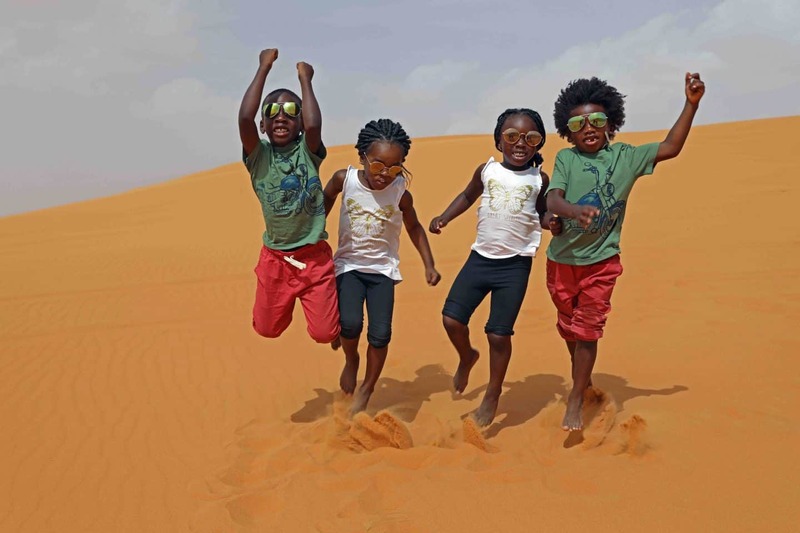 Take A Weekend Trip to the Sahara Desert: Although this is can be a long drive and will require at least 2 full days, your kids will be the happiest in the world when playing with the sand in the Merzouga Sahara Desert. This was the highlight of our trip to Morocco. 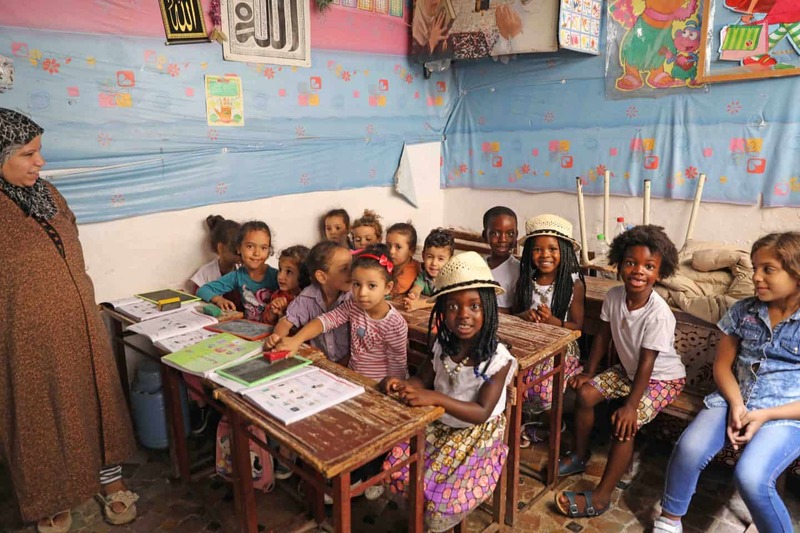 during our guided tour of the Fez Medina with kids, we were invited into a small school by the teacher to see how the kids learn. both sets of kids enjoyed the short but enlightening experience. Fez is great family destination; however, it is important to make time and do something with your significant other, a friend or even just alone. After a few weeks of traveling to Copenhagen, Billund, London and Pisa, my husband and I were excited to be in Fez, Morocco with kids, but we were also exhausted. We took this opportunity and scheduled a Moroccan Hammam for some alone time. A Moroccan hammam is similar to a Turkish bath; you take of all your clothes except undies, then start off in a dry hot room, then move to a hot steamy room so that you can sweat, then to a bathing room where someone gives you a scrub down (YESSS I said someone gives you a nakey whole body scrub down), then to a resting room for to relax and have mint tea and finally an optional massage at the end to relieve stress. My husband and I went into different sections of the Hammam, one side for men and the other for women. We were asked to strip down, undies on only and then proceed. It was so strange at first, but then I quickly got with the program. My husband and I came out feeling well scrubbed, clean and so much better than before we went into the Hammam. There aren’t any playgrounds that we could find in Fez. I searched and asked around but no one was able to give me any information. There is a park called Jardin Jnan Sbil which is beautiful and a great place for kids to run and get energy out as well as beautiful grounds for photos. Don’t let the fact that there aren’t parks derail you; there are so many other things to keep your family busy when you visit Fez, Morocco with kids. Let me start by saying this, Morocco has AMAZING food!! While in Fez, Morocco with kids we enjoyed every single meal we ate. We ate at numerous places, street food in the Fez Medina, lunch cooked in the Riad and more. Every single meal was yummy and we thoroughly enjoyed it. If your kids are open to trying new foods, then it’s a win. 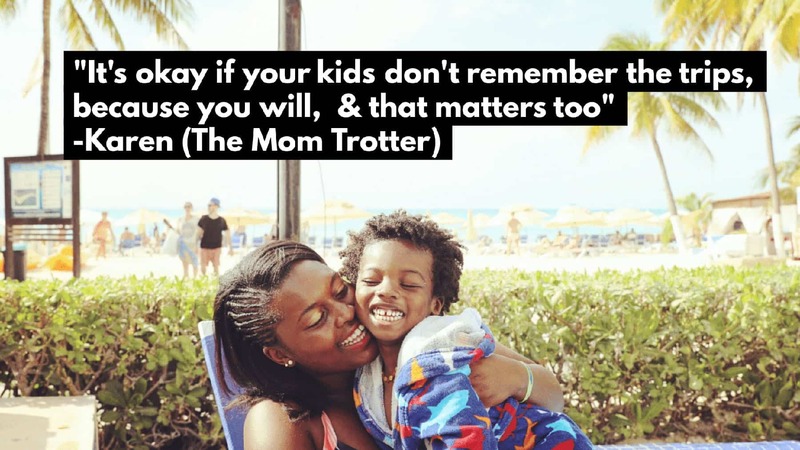 If not, you’ll find breads and meats and simple foods your kids will enjoy. 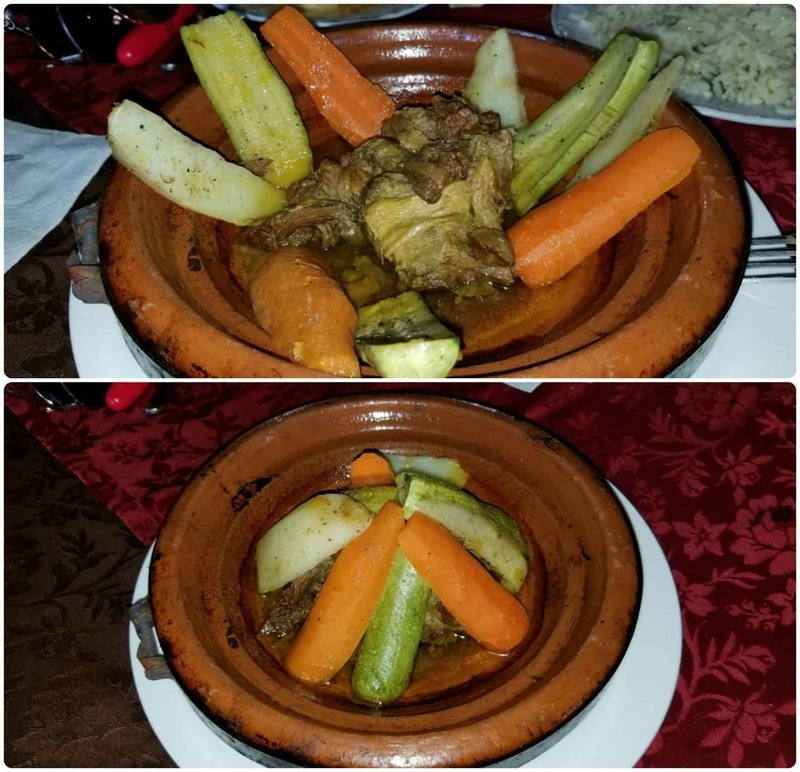 My favorite meal in Fez was Tagine, which is a meat or chicken stew with vegetables slow cooked in a clay circular dish with a cone. The kids enjoyed the flat shaped corn breads and grilled meats. 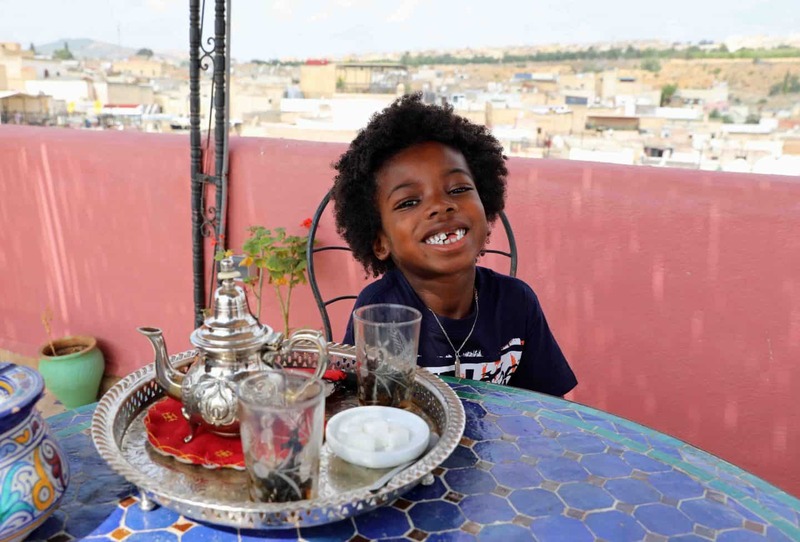 PS: Don’t forget to enjoy Moroccan mint tea – the kids loved it! Eating Out: Make sure you are careful about where you purchase food. Also make sure to stick to bottled water so as to avoid an upset stomach. Don’t walk alone late at night: Just like any other country, be mindful of where you go to at night and who you are with. Pay attention to your dress code: Morocco is a Muslim country, so be respectful of places you visit and pay attention to what you wear and where you wear it to. Try to conform to the local cultural behavior of the people. Refuse help from ‘tour guides’ on the streets: You should try to avoid help from the tour guides on the street as they will take you to their shop and ask for money from you for their service although they said no money when they offer to guide you. Make sure to bargain prices: When shopping on Morocco, they’ll inflate the prices if they know you are a tourist. Bargain prices reasonably. Getting around the Medina: The best way to get around the Medina is on foot. You should also make sure that you take essential Medina maps provided by a hotel or riad so as to assist you in locating where you are going. Google maps also works in the Medina, make sure you have internet access. Get a sim card: As soon as you land, make sure to get a sim card to avoid paying an astronomically high cell phone bill. My husband and I each got a sim card and made sure it was activated and working before we left the store where we purchased it. Money: There are several ATM’s around and easy to withdraw money from as needed, so there is no need to carry large amounts of cash. Just make sure to note the foreign transaction fees when withdrawing money. You can also change foreign currency at the airport, however note that the exchange rate may not be in your favor. Beds: Most of the beds in riads are very hard, so make sure that you keep this in mind. We had to put extra blankets on the beds before sleeping on it. After our first night, my whole body was sore. We spent a total of 2 nights in Fez Morocco with kids. 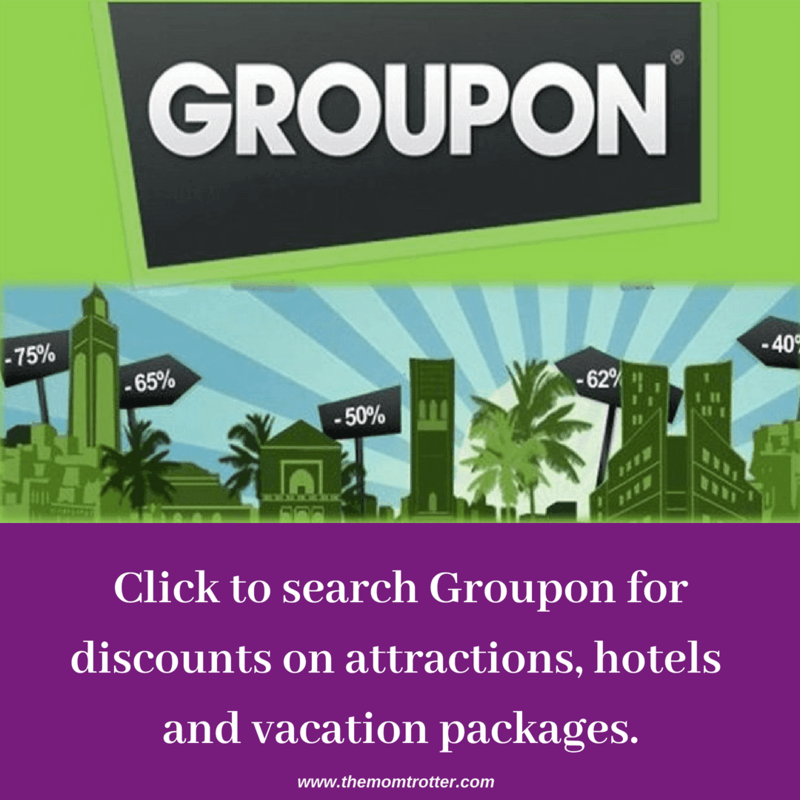 Morocco is affordable and definitely doable on a budget for an extended period of time. Next Post What Are The Best Model And Talent Agencies For Kids In Los Angeles?